Are you a PhD holder interested in heritage studies, fluent in English and Chinese? 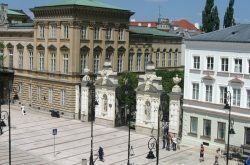 ECHOES Work Package 3 Team is currently actively looking for a Postdoctoral Researcher based at the University of Warsaw. Have a look at the full advert on the Euraxess portal and don’t hesitate to put your application forward before 28th May 2018.